Leaving home to visit another country can be confusing no matter where you're from or where you're going. Everyone does things a little differently and it's exciting to experience, but it's still confusing. A new Reddit thread asked "non-Americans... what common American culture reference would you like to have explained." The answers are great. They're great because you've probably experienced the confusion of traveling somewhere else and doing a double take when you learn cactus is great on tacos or chips aren't really chips. However, it's a little harder to see all the ways the things you do are confusing for others. For instance one of the top questions is, "Do people genuinely share a room at uni?" Quite often, the questions and responses spark a fun dialogue, explaining things like "making out." Here are a few of the most interesting questions and responses. Comment from discussion Non-Americans of Reddit, what common American culture reference would you like to have explained?. It's true. 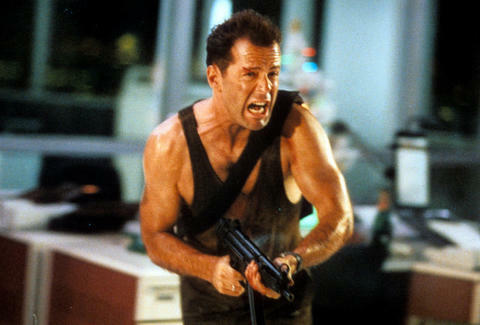 Die Hard is definitely a Christmas movie. For another thread on similar topic, check out the Reddit thread on the US foods international tourists are most excited to try.